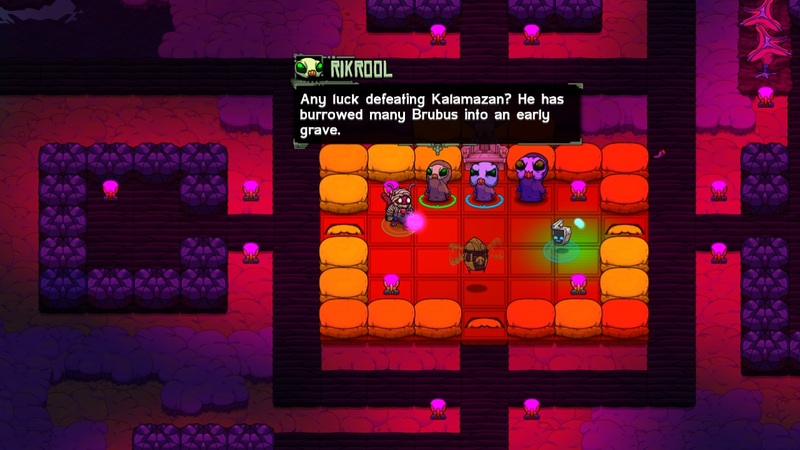 The trend of porting games to Switch is still going strong as 2016’s Crashlands has made its way to the console. 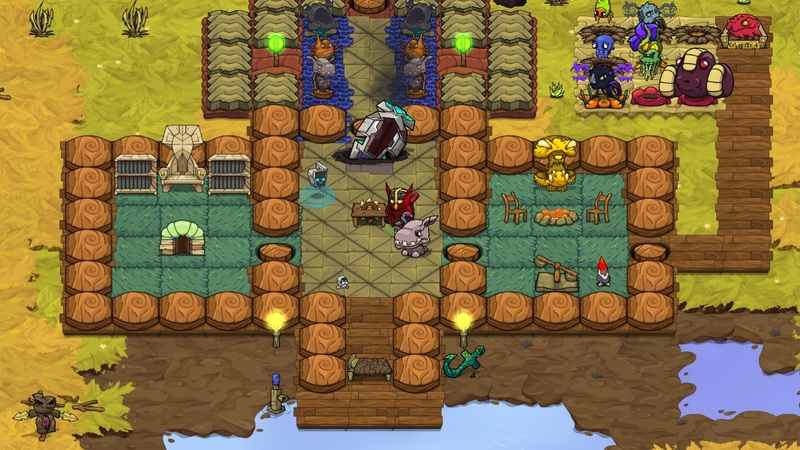 Developed by Butterscotch Shenanigans for PC and mobile, the “adventure-crafting RPG” received a mixed review from TVGB shortly after its release. There have been a number of updates since the initial release, but the core game is still intact with these improvements. So does the updated Switch version make for a better Crashlands experience? A little background first: your interplanetary delivery route gets interrupted by alien bad boy Hewgodooko. Upon determining that your ship is more useful to him in pieces than intact, he blows up your dang ship and sends you crash landing (oh there it is!) onto nearby planet Woanope. Flux Dabes and her companion Juicebox must do everything they can to send a message to the Bureau of Shipping that the shipment is longer on its way. “Everything” includes fighting, crafting, building, and exploring, thus the adventure-crafting RPG. 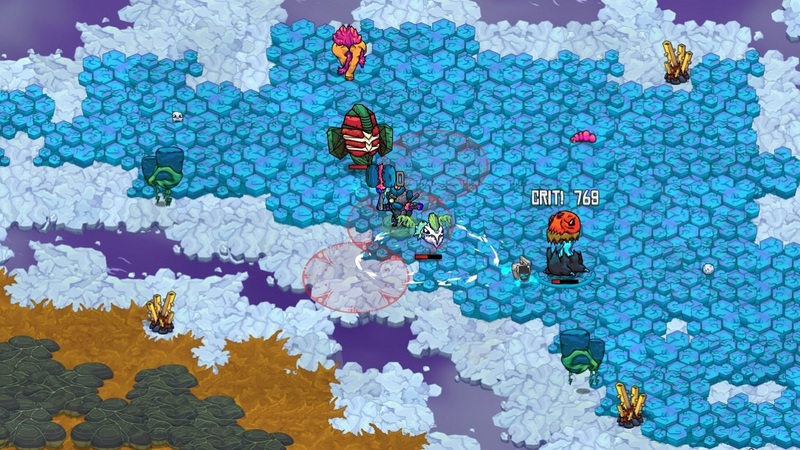 Graphically, Crashlands is a delight. The look and feel was a positive remark that we had for the game and it still holds up on the Switch screen. Your enemies and items visually pop and the three biomes of Woanope are interesting and diverse. The design of some of the NPCs can be both hilarious and somewhat terrifying. These aesthetics fit the small screen, making it quite apparent why Crashlands was also popular on mobile phones and tablets. For those of you who may have worried about it, dialogue is still witty and filled with innuendo, but the story can feel non-existent at times. As a first time player of Crashlands, I did wish the world could have been a bit more populated. I understand the constraints and the gameplay attribute to this, but it would be nice to see more native aliens scooting around the map. The map feels quite large and accommodates the world design nicely. Thankfully, fast travel is available, as traversing the same regions over and over would have been taxing on the overall experience. There is admittedly a lot of grinding to get resources you need, so be prepared to spend time hunting down creatures and materials. However, if you have been playing Fallout 76, you will be happy to know that you have unlimited inventory, so no need to worry about picking up too much loot. 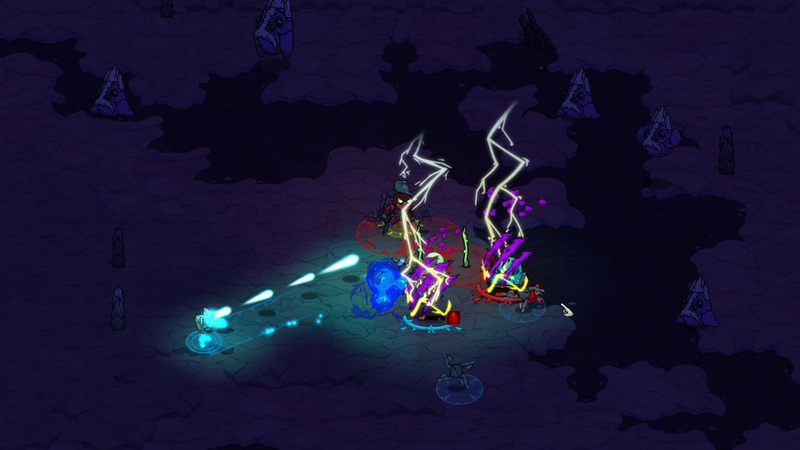 The Switch improves upon Crashlands controls in the overworld. Whereas in the PC version you are engaging in a massive clickfest, mashing buttons on the joycon is more satisfying in combat. Moving is easier via the joystick but you lose a bit of the fine-tuning you may need to set down your crafted items at your base. Navigating crafting screens with the joystick is a downgrade from pointing and clicking on what you want to build or inspect. These nuances are minor when you can pick the game up and play on the go, and I bet these controls are much better then trying to play this on a mobile phone. The core game hasn’t changed. You wander around the world gathering materials to build up your base and weapons/equipment, tackling quests and progressing the story along the way. Those of you who aren’t into this gameplay loop may not be as engaged as others who like a game like Minecraft. While its fun to gather up and unlock items to craft, crafting still has the unnecessary timer that makes you wait for the item to complete, which affects the pacing of the game. I get the reasons that it works in Minecraft, but its more of an annoyance here. Still, there are a lot of items to unlock and build, meaning that there are even more items to find out in the world. While base-building is fun, it isn’t the same as building up in a 3D space. The 2D aspect inadvertently made me less invested in it. I sometimes felt I was doing it more out of needing to build up than wanting to build up. I think most will find the rewards of crafting and combat to be more appealing. Keeping all of this in mind, Crashlands isn’t a huge budget game. It does a lot of things right that result in a positive experience, but it doesn’t do any one thing really well (eg, crafting, combat, etc.). I played this a lot on a recent work trip and enjoyed my time with it, but I’ll be happy to move on and play another deep RPG when time allows. For the price, I think Crashlands is a fine game for the Switch library.